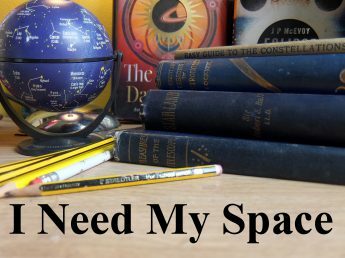 ‘The Great American Eclipse’ Part One | I Need my Space! I’ve got to admit, I scoffed a little when I heard they were calling it ‘The Great American Eclipse’. I expect a few Brits thought ‘isn’t that just like the Americans!’. But, after reading all about how more people will see this eclipse than any other in history, I started to warm to the title. And, as was discussed on the trip, why shouldn’t eclipses have names? Hurricanes do! Anyway, this blog post will be just about the eclipse, and I’ll upload some of my jpegs of the event. I’ll post more about the general astronomy stuff like the lectures and gear I saw, later. This’ll be just about the solar eclipse. I went with a travel company called Omega travel. Normally I don’t do ‘package holidays’, but for every eclipse trip I’ve been on (this was my third), I’m quite happy to leave it to the experts entirely. In 2006 I went to Turkey with the Sky at Night team, and although that was a fantastic trip with well organised lectures, this USA trip was actually better, despite (or maybe because?) it was a smaller crowd of 40 or so keen astronomers, and an enthusiastic and accommodating professional astronomer on-board. As I said, I’ll write more about the wider aspects of the trip later, there’s quite a bit to include, but for this post, I’ll get straight to the point. Eclipse day, and the actual solar eclipse on the 21st August 2017. I woke in the early hours, despite going to bed after midnight (luckily a few astronomers on this trip were as at home in the hotel bar, and we had a few nights propping up the bar talking matters of the cosmos. Cheers guys!). So by 5am I was dressed and outside, checking out the sky. The glorious, deep blue, clear sky! Venus (to the right) over the Hotel in Clarksville, Kentucky, 5am on the 21st August. I sat in the middle of a field and watched Venus head westward through the brightening sky. The crickets were so loud I recorded them on my phone, a chirping symphony. I imagined it was almost like they knew it was eclipse day, and were excited too. Did I mention the clear blue sky? A few had been out to see Venus in the Kentucky sky that morning as well. Actually we’d seen it from Heathrow, in England a few days before, by the crescent moon. A beautiful early morning sight that I didn’t take a photo of, because of airport stress! But it didn’t go un-noticed at the time – the thin crescent of the moon was in fact the disappearing moon, as it moved towards the sun in readiness for the eclipse I was flying 4,000 miles to see. In the hotel café, the video screen showed the morning news, and the eclipse was the main story of course!. There were warnings of crowded roads, so we boarded the coach and headed off to the eclipse site early, (I seen to remember 7.30? I could be wrong). But there was nothing on the roads, and we were amongst the first there. No problem with that, there were cafes, seats allocated to us, comfy air-conditioned areas and we had first pick of the T-shirts and eclipse tat. The James E Bruce Convention Centre – our eclipse viewing site. At the eclipse site wearing a T-shirt I’d bought in Nashville the day before. Video screens welcomed us to the viewing site, a nice touch! I spent the next few hours taking it all in. There were astronomers from all over the USA, and some from across the seas. There were all kinds of viewing gear (more of that in a separate blog entry I think). There was, or course, air of excitement, and everyone was busy arranging their equipment and setting up cameras. I’d just taken my SLR with an 18-55mm lens. I just wanted a record of the event rather than try for the best astronomy photograph I could get. I also took a short tripod, and my ‘lucky’ eclipse glasses from my first eclipse in 1999. (I later larnt that eclipse glasses have a shelf-life, and I should have been using new ones). And, just before mid-day, we saw first contact. A kind astronomer from our group had lent me a solar filter, so I was able to photograph first contact. And I was transported back to that same feeling I had on the beach in Turkey in 2006. Wow! Yea! That’s great, it’s started, they’ve got it right, the eclipse is on! For the next hour and a half we watched, through glasses and filters and telescopes, as the sun got seemingly devoured by the moon. We saw the same thing during a partial eclipse in the UK in 2015, but today we would get the full experience. And then, at twenty four minutes past one, totality! Perhaps the greatest earth-bound astronomical delight nature can serve up. And it was glorious. Thanks to the lecture the night before, (more on that in another blog entry later), I was able to select the right settings on my camera to capture a very pleasing (to me) few images of the solar corona. I’m uploading the basic jpegs here, but I’m hoping to go to work with the RAW files, with the help of my friend Graham from Wolverhampton Astronomy Club, who is a photoshop whiz. It seems every I talked to, who tried to photograph the eclipse, suffered some kind of gremlins. For my part, I forgot to take the camera out of ‘auto’ setting, till about a minute into the 2.40 minutes of the eclipse, which meant, in a panic, I took the camera off the tripod and shot the photos you see here by hand. But despite that, I’m more than pleased with the clarity I got from a 52mm focal length. These two photos of the diamond ring, I hope to improve in photoshop, but if I can’t, I won’t mind. It sounds an elitist thing to say, but to understand an eclipse, you have to experience it. Several times, after the event, people said the emotional aspect was just that – unexplainable. The most used, (and over-used) word is ‘awesome’, and it is. But it’s also quite eerie, and it conjures up feelings of humbleness and reverentially. You feel strangely privileged. I don’t know what else to say. Go and see one. I doubt anyone that’s travelled to see an eclipse has regretted it, put it that way. It’s cosmic!